Open from 4-8 Fri; from 12-4 Sat. Closed other days. Brewery tap at the very southern end of the Bermondsey Beer Mile. 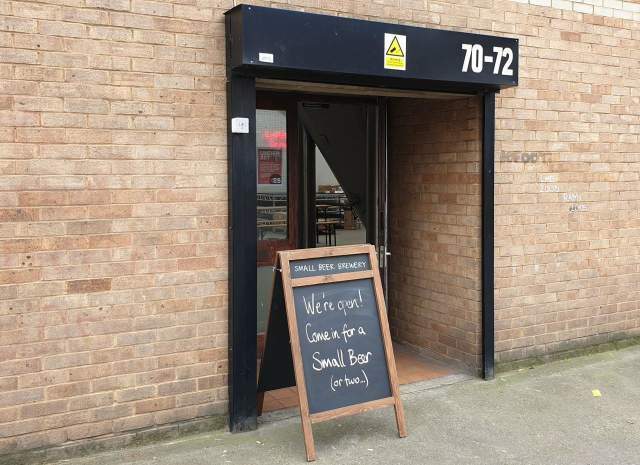 This bright and airy tap room, located over the other side of South Bermondsey station from Fourpure, is right in the heart of the brewery, providing excellent views of the brewing equipment. This should be your first stop on the Beer Mile, given that all beers are between 0.5% and 2.8% - though all 3 we tried were quite impressive despite their low strength. An interesting concept, and a lovely place to visit.